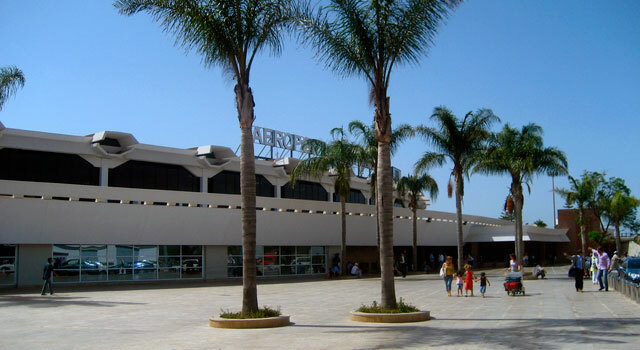 Use this website to quickly find the most important information about Casablanca Mohammed V International Airport: Flights (Departures, Arrivals), Parking, Car Rental, Hotels near the airport and other information. 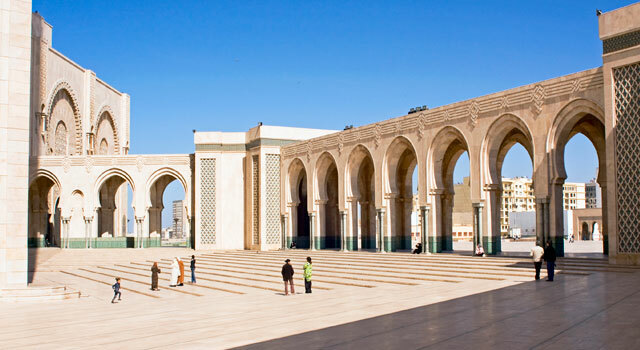 Plan your travel to Casablanca Airport with the information provided in this site. Check Casablanca Travel Guide at Bautrip for more information about Casablanca. Mohammed V International Airport (IATA: CMN, ICAO: GMMN) (French: Aéroport international Mohammed V) is an international airport located in Nouasseur, a suburb 30 km south-east of Casablanca, in Morocco. It is the main hub for the national carrier Royal Air Maroc. 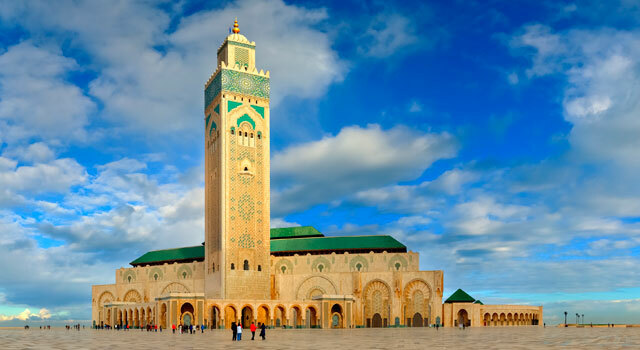 About the name: Casablanca Airport is named after the late Sultan Mohammed V of Morocco. The airport is currently under expansion to increase its capacity. Casablanca Airport has three terminals: Terminal 1 and Terminal 2. Terminal 3 is out of service. Casablanca Airport is the largest airport in Morocco and it has a network of approximately 100 destinations served by more than 30 airlines, being Africa the continent with more connections. The passenger traffic in the airport has been growing the last decade except in 2012. In 2017, 9.35 million passengers used the Airport, and is expected to exceed this figure during next years. In Africa, Casablanca airport is between the five busiest airports in the continent. - Terminal 1: It went under redevelopment works until 2017. Terminal 1 handles arrivals/departures from national and international flights. It has a new shopping mall. A processing area for arriving passengers has been added. It has 44 check-in counters and 28 gates. - Terminal 2: Terminal 2 serves exclusively international flights. Most of the international flights served by Royal Air Marroc are operated from Terminal 2. Casablanca Airport serves as a hub for Royal Air Maroc, Air Arabia Maroc, Jetairfly and RAM Express. There are more than 30 airlines with routes to/from the airport with nearly 100 destinations, being Paris, Jeddah, Agadir, Dubai, Marrakech the busiest routes. Royal Air Maroc is the dominant airline in Casablanca Airport, serving more than 65% of seats. The busiest months in terms of passengers traffic are August and September. 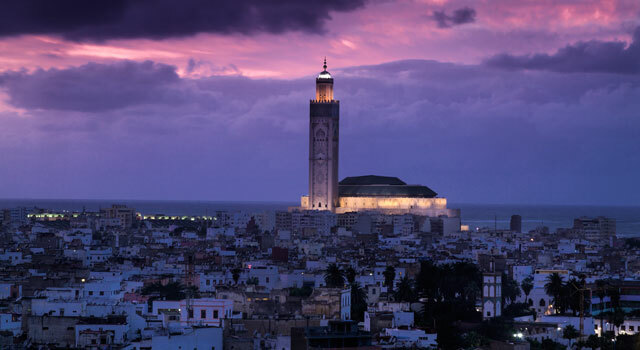 The busiest destinations in Casablanca Airport are Paris (more than 1M passengers), Jeddah and Istanbul. The airport was buit during World War II by the United States and closed in 1945. In the 1950s, Casablanca Mohammed V Airport was the site of a former USAF (United States Air Force) Air base known as Nouasseur Air Base. 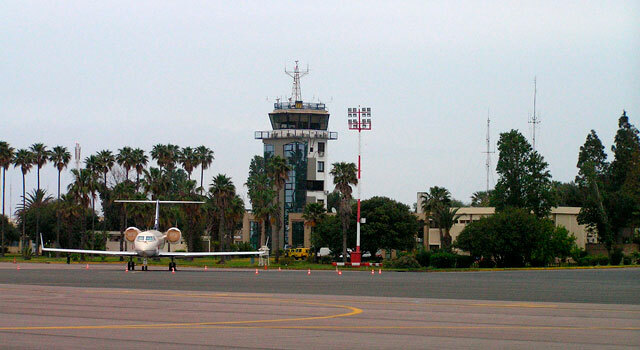 Even today, most locals still refer to the airport simply as "Nouasseur", this comes from the name of the suburb where it is located. It was handed to Morocco after its independence in 1956.